Installation あるがまま[Arugamama] -resonance- is showcased at 2018 Albert P. Weismann Award Exhibition. Reception: Thursday, October 18, 5-7 p.m.
Gallery Hours: Monday – Friday, 9 a.m.-4 p.m.
あるがまま[Arugamama] -resonance- aims to stimulate new audiences’ imagination, bodily sensations, and focus on their “here and now” through the installation of photos, sound documentation and materials from あるがまま[Arugamama] which was her MFA thesis project exhibited in May, 2018. 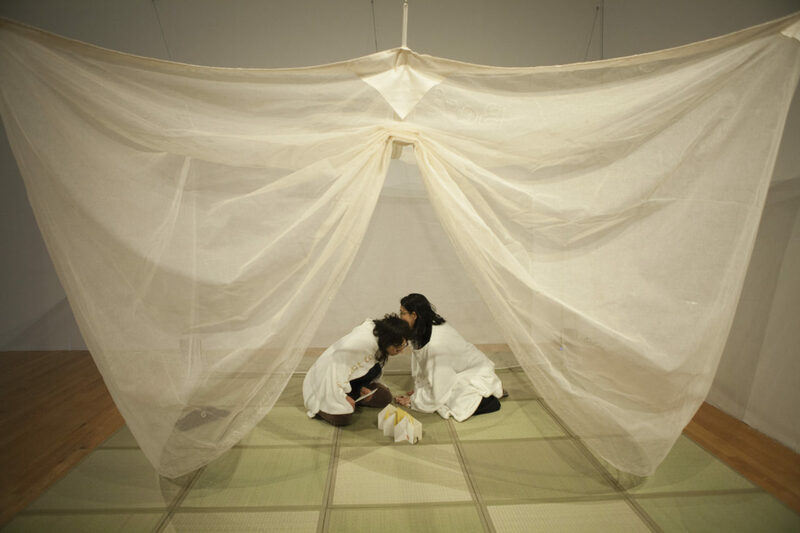 A new artist’s book 息の霊 -breathing- is exhibited, and Kazumi will invite the audience to her world at the reception. More detail about Kazumi Seki’s MFA thesis project あるがまま[Arugamama].